India and Myanmar on Wednesday inked an agreement on restoration of normalcy and development of the Rakhine State, from where thousands of Rohingya Muslims recently fled following incidents of violence against the community. Signed between Foreign Secretary S Jaishankar and Myanmar Deputy Minister for Social Welfare, Relief and Resettlement U Soe Aung in Myanmar's capital Nay Pyi Taw, this is the first government to government pact inked by Myanmar with a cooperation partner focused on the socio-economic development and livelihood initiatives in the Rakhine State. 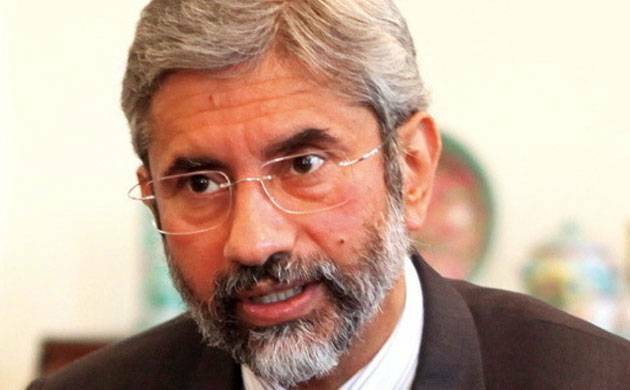 Jaishankar is on an official visit to Myanmar. "This is intended to help the government of Myanmar achieve its objective of restoration of normalcy in Rakhine State and enable the return of displaced persons," the external affairs ministry said. Under this MoU, India proposes to take up, among others, a project to build prefabricated housing in Rakhine State so as to meet the immediate needs of the returning people, it said. During the visit, Jaishankar called on State Counsellor Aung San Suu Kyi, Union Minister in State Counsellor's Office U Kyaw Tint Swe and Union Minister for Social Welfare, Relief and Resettlement Dr Win Myat Aye. "All matters relating to bilateral cooperation, including follow up on decisions taken during a recent visit of the prime minister to Myanmar, as well as matters pertaining to Rakhine State were discussed during these meetings," the ministry said in a statement. The foreign secretary earlier also called on Commander in Chief of the Myanmar Defence Services, Senior General Min Aung Hlaing, and discussed all matters relating to security, bilateral cooperation as well as the situation in the northern Rakhine State. According to the UN estimates, since August more than 600,000 Rohingya refugees have fled to neighbouring Bangladesh after incidents of violence and oppression in the Rakhine State. In addition to the Rakhine State project proposals, a number of ongoing friendship projects were reviewed, the ministry said. Issues regarding the functioning and maintenance of Sittwe port and the road from Paletwa-Zorinpui were also reviewed, it said. Other key projects such as the Rhi-Tiddim road project, the Trilateral Highway road from Kalewa to Yargyi, the project to build 69 bridges on the Tamu-Kyigone-Kalewa road, the Yamethin Police Training Centre and hospital projects, were also discussed. PTI PYK ASK ASK .